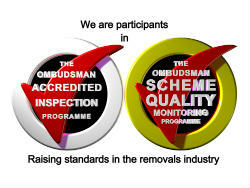 Delivering on promises is essential to providing a renowned service. A business must deliver in such a manner that client’s expectations are met, and ideally, exceeded. 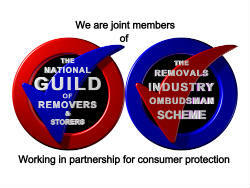 Here at Pers Removals this is precisely what we do. With a wealth of experience and customer-focused service, we guarantee a peerless service for customers across Finchley. No matter the nature of your requirements, whether you require office removals in Finchley or wish for precious items to be safely stored, we can help. Our flexible approach allows us to provide a completely tailored service. Working with each of our customers we listen to, and understand their requirements, delivering exactly what is needed. Our testimonials are evidence of this. You’ll receive a completely tailored service – one that perfectly fits your needs. Whether you require piano removal or are transitioning between professional offices, the service you deserve is the service you’ll receive. You’ll be surprised just how reasonably-priced our services are. From carefully-planned house removal in Finchley to secure storage of documentation or treasured belongings, you’ll find the price we quote quite affordable. We offer distinct advantages over using a nationwide removals and storage service. We know the Finchley district. This knowledge serves us well as we can quickly transport belongings from one property to another. This guarantees a smooth property transition. We will also know the best location for parking, and the safest route for our removal professionals. That personal touch is evident in all that we do. You may not enjoy the same amount of dedicated time to your project with a nationwide service. Once you use Pers Removals, you’ll know how important our customers are to us. To find out more about our services, or to discuss any personal requirements, contact us today.